We've ranked the best backpacker travel insurance policies of 2019 to help you compare backpacker insurance. Get 10% off backpacker travel insurance by joining our backpacking insurance group. We created our list of the best backpacker travel insurance policies using an independent financial review service that rates how comprehensive a policy is; the score Fairer Finance gave each insurance company for customer happiness, complaints, trust, and transparency; the latest backpacker travel insurance ratings on Which? ; and whether the company has won any awards. Keep in mind that the best backpacker insurance policies won't necessarily be the cheapest. Our list should give you an impartial ranking of insurers that have an excellent level of cover and offer good customer service. Why is backpacker travel insurance important? How do I get the best backpacking insurance? You could be carrying several thousand pounds on you without even realising it. An iPhone or a MacBook, a digital camera and lenses or perhaps your favourite jewellery - it all adds up. Many of these items may make it into your bag when you set off on a backpacker trip, along with wads of foreign currency. If any of these possessions are lost, stolen or damaged while you're travelling, having good backpacker insurance can make all the difference. It means you can set out on a trip with peace of mind and make a successful claim if anything does go wrong. Another key feature of backpacker insurance is its medical cover. British travellers often overlook these cover levels because we're used to getting free treatment on the NHS but in other countries, even those with low costs of living, medical care can cost thousands of pounds. And some hospitals may not offer you treatment unless they know you can pay for it. Some people buy insurance and assume they're covered without looking at the policy wording. Read our article below, in which we illustrate just how careful you need to be. We looked at the cheapest and most expensive places to get injured if you're a backpacker and the results may surprise you. As well as offering guides to insurance, Bought By Many also has groups for people with similar insurance needs where our members can get exclusive discounts. 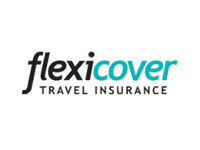 Check out our group for backpacker travel insurance where you can get a 10% discount on cover. Travel insurance policies often look similar but subtle differences in wording can have a big impact on what you're covered for. Unfortunately, the only way to be 100% sure what your backpacker insurance covers is to spend a bit of time reading the policy document. However, we've highlighted a few things that are worth checking. And please remember that cheap backpacker insurance is not necessarily the best backpacker insurance. 1. Does backpacker travel insurance cover gadgets and laptops? Although laptops, phones and gadgets are often within your baggage limit, as high-value items they are classed by most insurers as 'valuables'. It is very likely that when you read the small print of your backpacker travel insurance policy, you’ll find it has a separate ‘valuables’ or 'single-item' limit, which is much less than the £2,000 total baggage cover. For example, in Endsleigh's popular Essential gap year policy, the baggage cover gives you £2,000 but there is a valuables limit of only £250. You can’t claim more than this for ‘valuables’ so if your £1,000 MacBook Air goes missing, you won't get the full value back. 2. Does backpacker travel insurance cover cameras and photographic equipment? Similar to laptops and phones, cameras and other photographic equipment (like lenses) are often classed as ‘valuables’. At this point, you might be losing faith and thinking that insurance isn't worthwhile at all but a good tip is that valuable items such as your camera or phone could be covered on a home insurance policy. Many providers will let you extend your home cover to include cover for your possessions while out of the house, including abroad. You can also get specific camera travel insurance at a discounted rate, by joining our Camera Cover for Travel group. Remember, travel insurance covers more than just your baggage - it covers cancellation and, most importantly, medical claims. Cash and passports are usually covered by a separate limit, similar to the ‘valuables’ one. It’s called the ‘cash and passport limit’ - for example, Top Dog Insurance's Gold cover specifies £2,000 of baggage cover, but £500 for personal money and passport. In addition, TopDog, like others, makes a further distinction. The good news is that "Personal Money" for them means cash, pre-paid cards, traveller's cheques, and even event and travel tickets. However, they specify a further £200 limit for pure cash only (bank notes). So if you have all your cash stolen in Thailand but everything else is left in place, you might find you are only covered for £200 rather than the £2,000 you expected. Make sure you know your cash and passport limit and carry the right amount accordingly. Some of the best backpacker travel insurance policies may have higher limits than cheaper rivals. Their policy documents can help you compare cover before you buy. 4. Does backpacker travel insurance include cover for sunglasses? Some insurers don’t separate sunglasses but some do because they are fragile and easily broken or misplaced. For example, Columbus Direct Travel Insurance's Globetrotter policy has a £100 limit on sunglasses. With less valuable items it’s also worth checking the excess on your policy because they may be less expensive than the excess. This means the insurer will expect you to cover the costs if they go missing or get broken. If you lose a £120 pair of Ray-Bans but the excess is £100, you'll only get £20 for your claim. Backpacker insurance policies may have certain exclusions. It is important to read the small print carefully before you buy. Your policy might come with cover for certain sports and activities as standard but exclude other sports, for example. Certain items, like sunglasses, can be excluded from your baggage cover. A lot of backpacker travel insurance, for example, will not cover you if you travel to an unstable country. If you're thinking about travelling to an unstable country, you might find useful our guide to travel insurance with terrorism cover and for dangerous areas. How to best compare backpacking travel insurance policies? Do contact us through the Backpacker Travel Insurance forum if there are other companies you'd particularly like us to review. "Very easy to use after disappointing evaluations from major banks/ insurers (who were quite happy to insure me last year after a stent, b..."
Join our backpacker travel insurance group to demand a fairer deal on backpacker travel insurance.